Origami boxes…how difficult could they be? Plenty! Tomoko Fuse first encountered origami at seven years old while in the hospital. She eventually became known as the “Queen of modular origami.” She has produced over 2000 books and her work has been displayed at the American Folk Art Museum and the Museum of Modern Art Toyoshina in Azumino. Fuse’s folding guides are well-illustrated but can be confusing to follow. Be prepared to exercise great patience while re-creating the gorgeous “models” she shares. (Patience is not my strong suit and I struggled.) That being said, this guide is well-produced with tons of beautiful photos. The variety and complexity of models is impressive. There are twenty models including a simple interlocking box (the one I successfully created), a bird box, cat head box, tulip box and rose box. One error I noticed is that, in the Symbols Key, there is an illustration of “Degree of difficulty” although I could not find this used anywhere in the book. There were also several symbols used in the illustrations that are not in the Symbols Key. 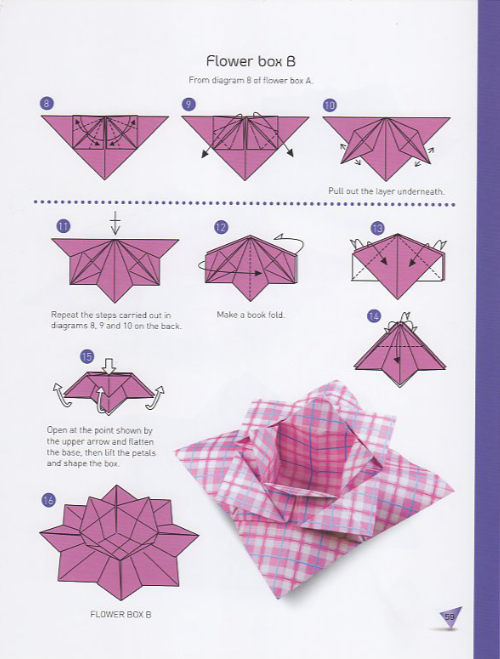 Additionally I would have liked to find at least four or five sheets of origami paper in the book. As a origami “newby” and as a reviewer of this book, I had to hunt down suitable paper. My nearest “Big Box” craft store does not stock origami paper and their app showed other stores in my area had “limited supplies.” I ended up ordering reasonably priced paper on Amazon. 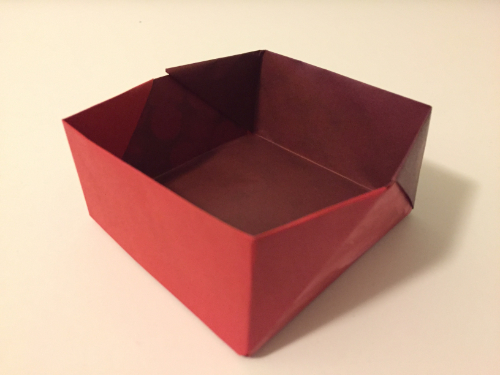 My honest assessment is that Amazing Origami Boxes is best suited for those with some prior experience in the paper folding art and those with great patience. Amazing Origami Boxes, a publication of Dover Publications, is priced at $18.95.